After years of public health efforts, health care at the Los Angeles County Jail has significantly improved, and the facility now typically provides full access to treatment for inmates who have HIV — including medications that keep their disease in check. When they are released, however, many former inmates stop making regular visits to a doctor and taking the medication they need, which puts their own health at risk and increases the chance they will transmit the virus to others. A new UCLA study has found that a new program to help those people to continue getting good treatment after they get out of jail — and making sure they're able to find the medical care they need — can help them stay on their anti-HIV medications. In a paper published in JAMA Internal Medicine, UCLA researchers describe an experimental program they developed and tested to help people maintain their health care regimens after their release from jail. They found that the program was more effective in helping inmates stay on their medications, and in keeping the virus controlled, than the approach that is most commonly used today for former inmates. Various studies have estimated that inmates have three to five times the rate of HIV infection of people in the U.S. who are not in jail. For people with HIV, staying on anti-HIV medications is crucial to controlling the virus and staying healthy. Daily use can reduce the amount of HIV in the bloodstream, which is known as viral load, to levels that are undetectable with standard tests, or viral load suppression. But failing to continue taking their medication after being released from jail can cause the level of HIV in their blood to spike. "Incarceration is more prevalent among people at high risk for substance abuse, mental illness and infectious diseases such as HIV, and adversely affects employment, housing, and access to care for ex-offenders," said Dr. William Cunningham, professor of medicine at the David Geffen School of Medicine at UCLA and the study's principal investigator. "Upon their release, many fail to link to care soon enough or long enough to keep the virus under control." 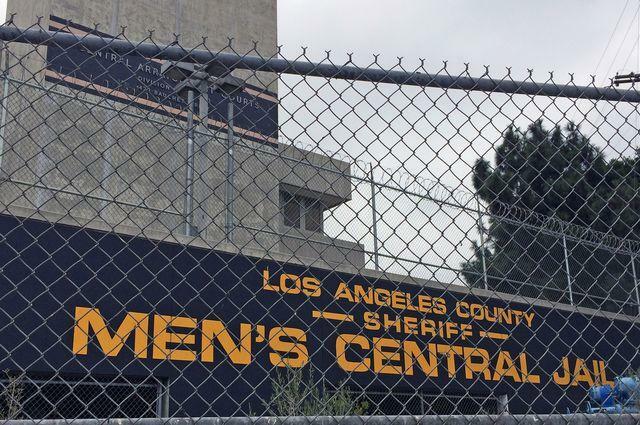 The researchers recruited 356 HIV-positive men and transgender women from Los Angeles County Jail, 42 percent of whom were black and 31 percent of whom were Latino. Of them, 180 were assigned to "peer navigation treatment." For up to 12 sessions over 24 weeks — starting while the participants were still in jail — they received advice from trained staff on how to make their way through the health care system. Following the inmates' release, navigators helped their clients understand how to overcome barriers that could make it difficult for them to continue getting their treatment for HIV or to take their medicine regularly; they also provided counseling and accompanied the subjects to doctors' visits. The other 176 people received referrals to housing assistance, doctor's appointments and other needs referrals to housing assistance, doctor's appointments and other needs — but not the additional counseling and support. The researchers found that 49 percent of the participants assigned to the peer navigation group had viral suppression 12 months after their release — the same percentage as at the start of the trial. In contrast, just 30 percent of those in the traditional program had maintained their viral suppression by the end of the year, down from 52 percent at the beginning. "No prior interventions tested in randomized controlled trials, to our knowledge, have resulted in a sustained level of viral suppression after jail release among people living with HIV re-entering the community," said Cunningham, who is also a professor of public health at the UCLA Fielding School of Public Health. Those in the peer navigation group also were more likely than their counterparts in the other cohort to receive regular medical care, and visit their mental health and case management workers — and less likely to seek care in an emergency room over the 12-month period. The study has some limitations. For instance, some data was collected by jail staff, rather than the researchers, which limited some of the information collected. Viral loads were often reported only as detectable or undetectable and not by amounts in the blood, so changes in the amount of virus in the blood were not tracked. This study was supported by the National Institute on Drug Abuse of the National Institutes of Health; the Center for HIV Identification, Prevention, and Treatment; the UCLA and Charles Drew University Resource Centers for Minority Aging Research/Center for Health Improvement of Minority Elderly; and the UCLA Clinical and Translational Science Institute. The study's co-authors are Robert Weiss, Terry Nakazono, Mark Malek, Steve Shoptaw, Susan Ettner and Nina Harawa of UCLA.